So I figured, hey, I can’t have a worse experience with a toaster oven than burning down a virtual house, right? My experience wasn’t exactly worse, but it did make me a little less excited about using that mini oven in our night kitchen. I found out early on in my pie-making process that none of the mugs in the sorority house were short enough to fit inside the toaster oven without touching the top and bottom. Nevertheless, I tried cooking it in there anyways, and it ended a few minutes later when I could smell something burning, so I took it out and discovered the top crust beginning to blacken. Left with the option of either throwing everything out, eating it raw or microwaving it just for kicks, I chose the latter. I figured at the very least I could heat it up before eating a raw, failed pie in a mug. 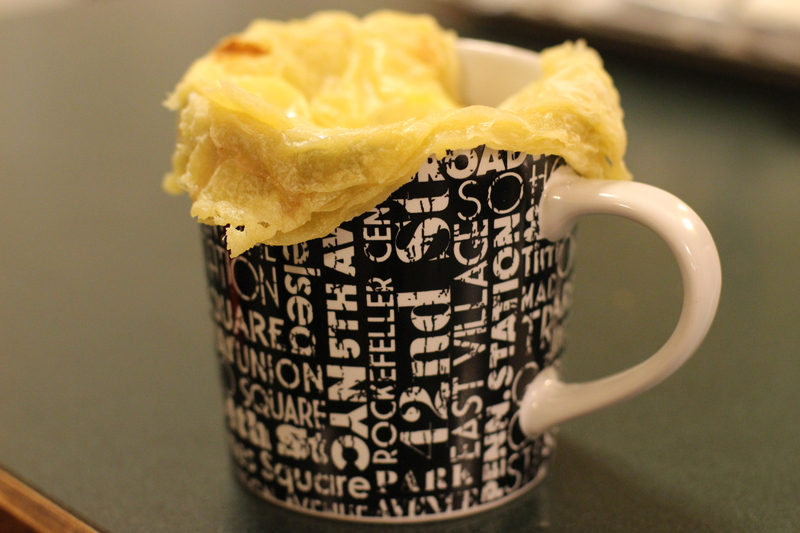 But after 1 minute, the microwave dinged and I took a look inside – the puff pastry actually puffed up in the microwave! Probably due to the egg, but still so exciting! I put it in for another 30 seconds to seal the deal, and then after a brief photo shoot, I ate my surprisingly delicious microwave mug pie. 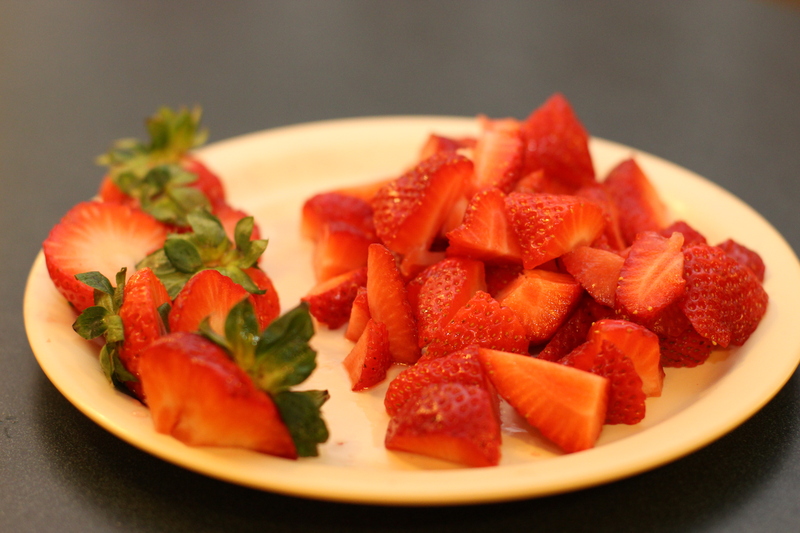 Recipe adapted from strawberry mug pies on how sweet it is. 2. 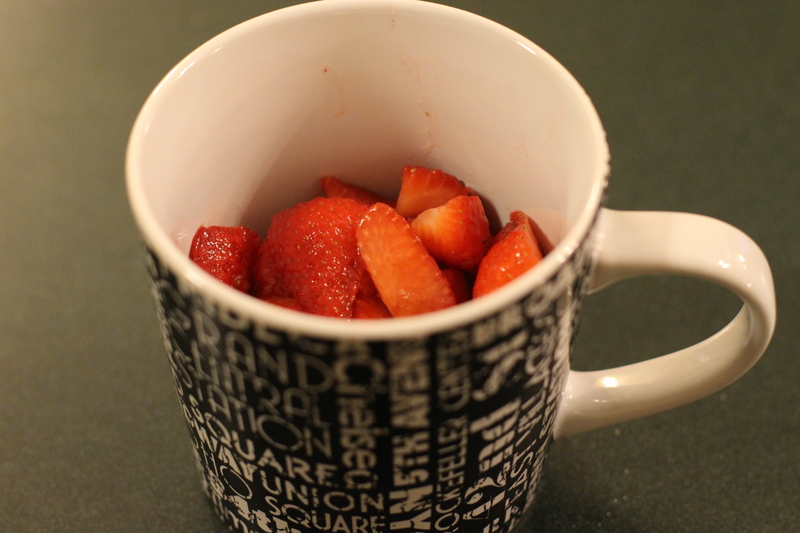 Mix strawberries, sugar and flour in a wide mug. 4. 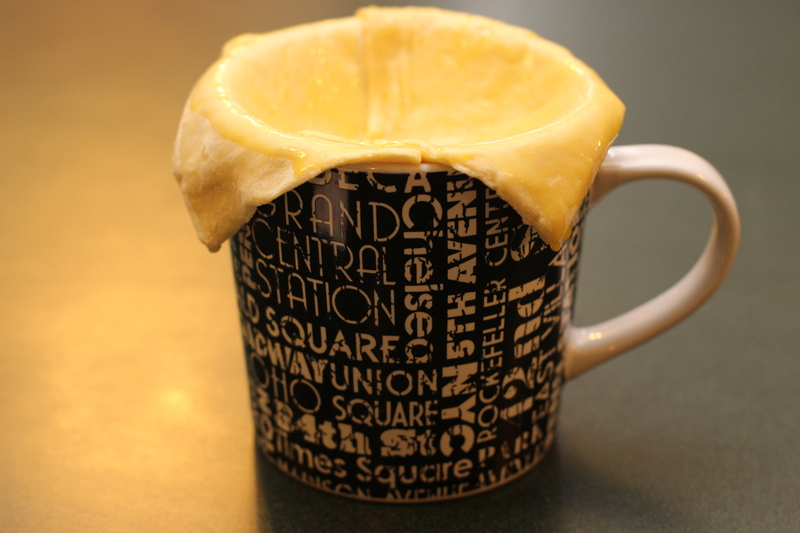 Microwave mug pie on high for 1:30 to 2 minutes. 5. 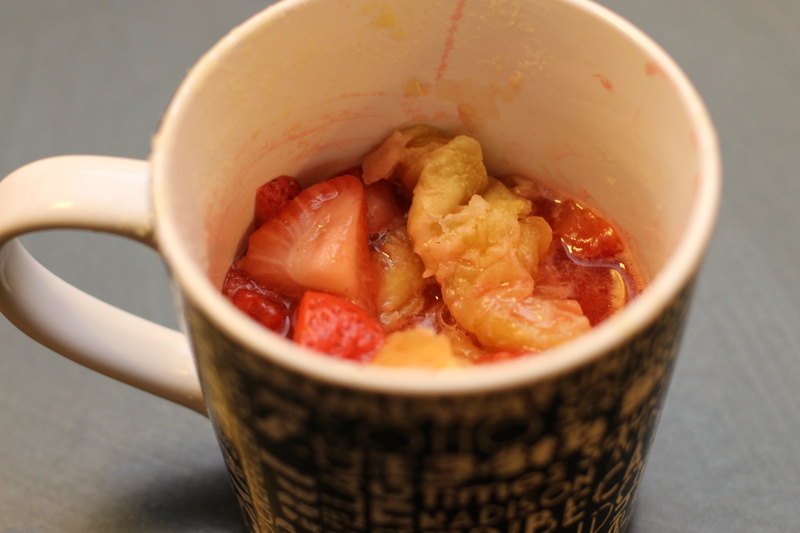 Crush puffed up pie crust into the mug and enjoy. 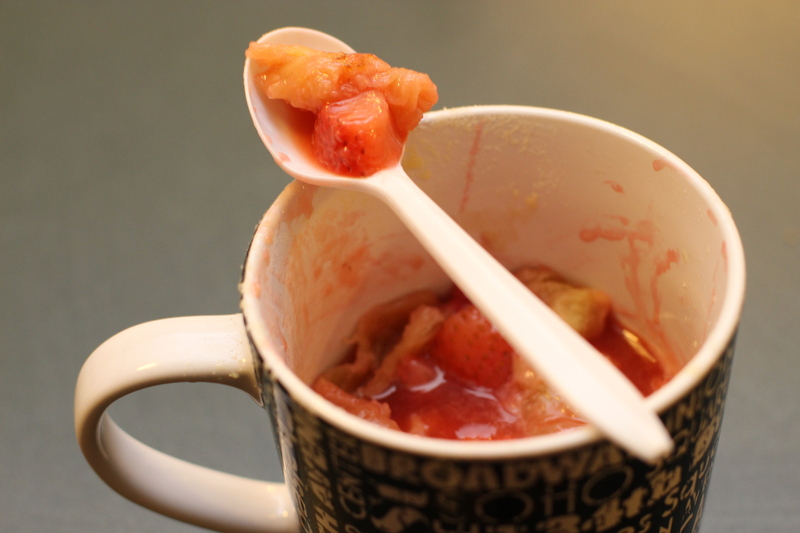 This entry was posted in dessert, Recipes and tagged microwave, mug, mug pie, pie, puff pastry, strawberries. Bookmark the permalink.